If you are looking for more companies that pay you to post on forums, blogs, and chat rooms, check out this list. PostLoop is a company based in Southern California, that was formed to help website owners get traffic and engagement to their websites. This site is very similar to MyLot, which are among the few legitimate paid to post websites. 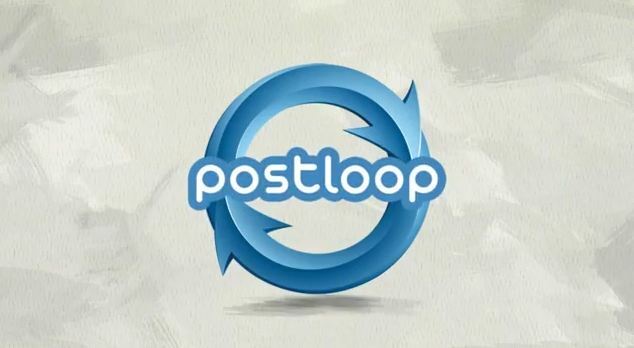 At first I was very curious about Postloop after reading many positive reviews online. So I decided to try them out and give you the inside scoop on how Postloop works. PostLoop is better known as a PTP (Paid to Post) website. For those who do not know what PTP means, it means for every comments you post on a forum or blog, you get paid for it. Make sure you have excellent grammar with correct spelling and punctuation. Make sure to make long, detailed posts that are about 4 or 5 sentences long. Postloop can tell if you are posting just to be posting. Subscribe to forums you are really interested in. The forum topics available are video games, parenting, income & money, health advice, and so on. If your account gets approved or disapproved. After the evaluation process and approval, you will have access to the database of forums and blogs on PostLoop. This will enable you to choose the forums which you would want to post on. After deciding the forums to post on, you will need to register with these forums. This should not take much time and after doing this. Once you link the Forums with your PostLoop account, then you can start making money. This payment system is quite simple as PostLoop system is point based. Points are earned anytime a comment is posted on a blog or forum, the amount of points though vary from 1-5. The rating you get after each post is based on the quality of the post. Your rating has a positive relationship with the amount of points you get. This means that the higher you’re rating, the more points you will get. Users who get ratings less than 4.0 will get no bonus points. However, users who get ratings higher than 4.0 on comment made get at least 0.25 bonus points. The withdrawal system on PostLoop is very straightforward. It has been stated on the site that withdrawals cannot be made if the user does not have up to 100 points which will equal $5 or if the user’s rating is less than 3.5. Postloop is very good about sending payments within 24 hours via Paypal. Does PostLoop Have A Referral Program? One of the best benefits of using Postloop is their referral program. For PostLoop referrals, if people sign up using your referral link, you will earn 20 percent of all their earnings. This means that the more referral you have, the higher your chances of earning more. However, you must note that your referrals must also be active and posting on forums as well. As a user on PostLoop, I think some of the advantages that it has is that it is a means to earn extra income. Though the pay may not be much at first but if you are dedicated and committed to it, you would be making more in no time. In addition to this, no fees are charged on PayPal withdrawal which means that no matter how little you withdraw, you will receive the whole sum in your PayPal account. Another advantage that PostLoop offers is that they accepts members from all part of the world and it has a decent pay system. However, despite these merits, one major disadvantage of PostLoop is its rating system. PostLoop has given the ratings right to the forum and blog owners so even if you make an incredible post; you may end up getting a bad rating. Hi Lashay, I e-mailed you about adverising rates on your site. You never responded. Hi, Ian! My inbox is always flooded. How can I assist you? I am interested in advertising my FREE work from home program to your audience. I want to know what are the current rates for banner advertising on your site? What type of work from home program is it? At this time, I am not excepting any banner advertisements on my website. If you can explain more, I can see if it’s worth sharing to my followers on YouTube. If you want us to use proper grammar then how about if you do the same, such as, using the proper word “receive” not “get” in the correct contextual form? opportunity to try again, which they said they do on their website. You had me interested until the last statement..basically my pay/rating is based on whether the owner agrees with me or not or likes me or not…that’s not fair work practice and it’s not right in my opinion. I think post loop should pay for EVERY post regardless if they like it or not or agree with it or not. This sounded great all the way up to ” You can make an incrediable post/comment…but you may still get a bad rating…” Ugh! Sounds more of a waste of time and energy. My pay shouldn’t be based on 1 persons OPINION of me and my posts. I should be get paid for posting like you said 3-5 sentences and being on topic..supporting my statements and so forth; irregardless of the blog/forum owner likes what I said or not. …Yea I think I’ll pass on that one…sounds more stressful than needs to be and sounds unfair practice and work ethic. Sorry.